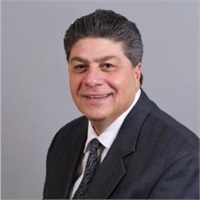 Our Team : Catanzarite Financial Services, Inc.
Tony began his career in the financial services industry in 1991 after 13 years as an accountant, predominantly as a manager for two Fortune 500 companies. A 1978 graduate of Saint Joseph’s College (Rensselear, Ind. ), he holds a degree in Accounting and Economics. In 1996, Tony established Catanzarite Financial Services, Inc.
Tony met his wife, Dolores—to whom he has been married for 36 years—at Saint Joseph’s College. They have four children: Christina, Joseph, George and James. Tony’s experience of raising a family, putting three children through college, planning for the college education of his 18 year old son, and an active role in the care of his parents offers a unique and valuable perspective to financial and ethical issues facing families of all ages today. Part of the Catanzarite value system is giving back to the community. Tony has been involved in coaching basketball and baseball for over 20 years. He is a member of Holy Family Parish, Knights of Columbus, and has been active in Marian High School’s Knights in Need Program since its inception in 1998. Tony enjoys playing golf and cooking out with family and friends on weekends. 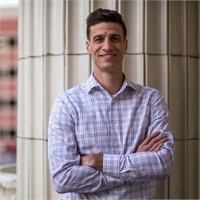 In 2006, Joe chose a new career path – financial planning – with determination to offer financial guidance and oversight to individuals, small and mid-sized business owners, professionals and organizations. Dolores has been Office Manager for Catanzarite Financial Services since 1996. 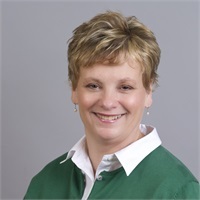 Prior to that, she was a receptionist for the County Commissioners of St. Joseph County in South Bend, Ind.